Home / Sport / No Eavesdropping on the Basketball Coach! No Eavesdropping on the Basketball Coach! I was watching the endgame of the UAAP basketball match between Ateneo and FEU earlier and was amused at how one of the Tamaraws blocked out the television camera when coach Nash Racela called a timeout late in the game. When the cameraman turned his lens to the left, the player moved left. When he turned right, the player moved right. Smart boy! I’m sure he was on instructions from the coach himself. Finally, the cameraman gave up and the director called for a different camera angle which showed the huddle but not the coaching going on. There was audio; but this was next to useless without the visuals. 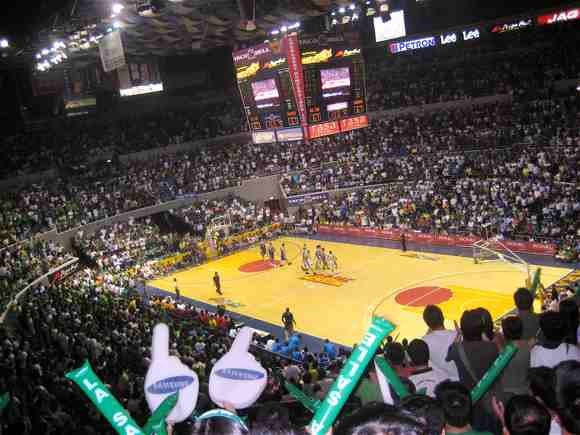 Last Saturday, something similar happened during the opening day encounter between the De La Salle Green Archers and the UST Growling Tigers. This time, the camera had full view of the huddle; except that Juno Sauler, the DLSU coach, asked the cameraman to move away and not to cover what he had to say to his team. I cannot say that I am a regular UAAP basketball viewer; but on the evidence of these two incidents, it appears that these basketball coaches have finally caught on. Finally! I’m sure basketball coaches speak more freely at the dugout where the cameras do not follow them. Some, I imagine, will have their own version of the hairdryer treatment. I know that the ethic of basketball is different from football; but I have always thought that coverage of mid-game basketball huddles are such an intrusion. I think this is an American innovation; and admittedly there are pros and cons. On the one hand, how the coaches think is relayed live to households throughout the nation – or around the world, in the case of NBA matches. This allows commentators to better explain the ensuing plays and is, therefore, something of an education to the viewing public. On the other hand, if the basketball fan watching at home can see and hear how the coach thinks, then so can the opposing team standing just a few yards away. Especially in the present day when some cellular phones can even function as television sets. If there is not enough time to respond immediately to a particular play, then at least the play can be documented and studied for subsequent games. And by coaches of other teams as well. In fact, there was this NBA game years back when one coach was expelled from the bench, continued to watch the game via the television set conveniently provided in the dugout and sent word to his assistants based on what he saw of the other team’s huddles. There are no mid-game huddles in football, of course. While there are one minute water breaks ordered by referees in countries where the climate is extremely hot, cameras discreetly stay away even when coaches use the break to give instructions during the water break. In fact, there are coaching manuals which think of the huddle as ‘sacred.’ It is a private moment when a coach says what he has in his mind, heart and soul. It is also the time when a coach motivates players individually in ways he thinks appropriate. And that sometimes means saying things that are not for public consumption. That is just the way things are. Players all have different personalities. Some will be easy to motivate or correct; others will need more than mere diplomacy. For instance, Fergie’s hairdryer treatment of his highly-paid superstars when they perform below the standards expected of a United player. Sometimes – not all the time, as is the case with some coaches – it is a necessity. But I personally don’t think that television cameras should follow them either during timeout huddles. The television ‘eyes’ are immediately intrusive and restrict coaches to saying things that are deemed acceptable to the viewing public. How many times have we seen coaches barely contain their irritation? Sometimes – and again, not all the time – that irritation has to be communicated across to players in the strongest possible words. Then again, there is also the little matter of making known to all and sundry what essentially are ‘trade secrets.’ That is, what a coach has inside his head. 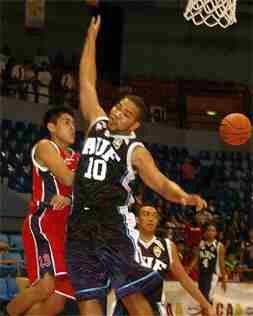 Off-topic, the Blue Eagles have lost their two opening games of the current season of the UAAP basketball tournament. I wouldn’t read too much into this as Kiefer Ravena is injured. 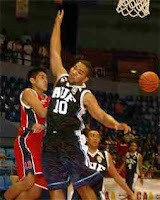 The question is, how much will his absence affect Ateneo since Ravena raises his team to an altogether different level. The boy is special. La Salle? I don’t think individually that La Salle is not far behind any team in the UAAP. But if that fumbling loss to UST is going to be the pattern for the season, then the Green Archers can kiss their championship hopes goodbye. Unless Sauler can do something about his team’s lack of mental toughness quickly, then watching the Archers will again be not unlike being fed a feast before you are brought to the chamber. You know how there will only be one way it will end.